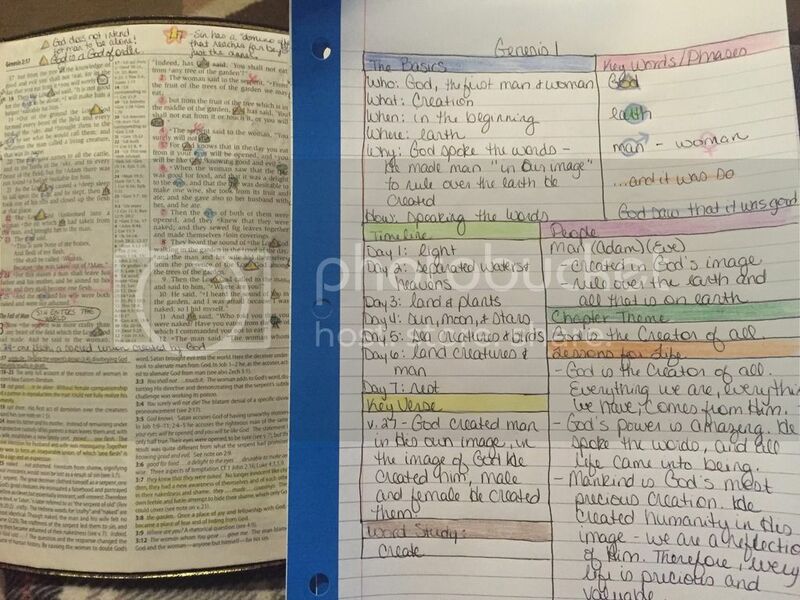 If you follow me on Instagram, you’ve seen my new Bible study chart. I’ve gotten a lot of questions about the method I’m using, so I wanted to share my methods and the resources I’m using. I’ve been studying the Bible for over twenty years, since I really got serious about my faith as a fifteen year old high school sophomore. My methods have changed a lot over the years as my life has changed. The one discovery that changed everything, though, is when I was introduced to inductive Bible study. I’m a very visual and tactile learner – I have to see something and work through it to understand it. My learning style makes inductive study a perfect match for me. My chart has developed out of that, but I’ll get to that a little later. I’m starting to add art journaling, too, but I’m very new to it. That’s definitely a work in progress. I think it will add a lot to my current study. I want to get more comfortable with it before I share it on my blog, though. The best starting point for inductive study is KayArthur’s book, Discover the Bible for Yourself. This is how I got my start. She walks through a detailed approach to inductive study and provides step-by-step instructions, charts, and more for each book of the Bible. Along with the book, I highly recommend the symbols key available as a free download at PreceptsCamden. I printed this list and keep it in my Bible study notebook. I use it every day. I’ve added a few symbols to the list, but this has just about everything you’ll need. Now for my chart. There’s no printable for this, it’s just something I draw out on notebook paper to help organize my thoughts from my study. The idea came from Pinterest. I loved the basic concept of the chart I found, but I knew it wouldn’t work for every chapter, so I took the idea and tweaked it a little. I love this slow approach to God’s Word. It gives me time to really soak in every detail of a chapter. If you’d like to see more of my Bible study, followme on Instagram, where I post pictures from my study most days. You can also follow my Pinterest boards, including Bible study, Bible art journaling, journaling, and more. And if you’re on Periscope, I’ve started doing a few videos. Periscope is new and hosted by Twitter, so you can find me by my Twitter handle (@graceourmoments). Just stopping in from your post on E's site about finding home in brokenness.Thanks, Amanda, for posting your story here. Your poignant moment of leaning down to look into the VBS girl's eyes and tell her that she was not alone was powerful. May God heal both of your hearts from the hurting little girl aches inside. Thank you, Jennifer! It was a tough post to write. Thanks for stopping by my blog.